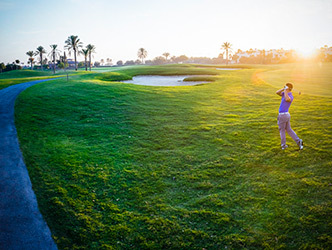 Roda Golf Course is constructed within an excellent 18-hole, par 72 golf course exclusively designed by Dave Thomas, one of the most prestigious European golf designers. The layout was created by combining different environments and working for a total adaptation to the Mediterranean landscape and vegetation. An entire golf course at your service, right in your back garden.